I'll be honest with you --- your first bread baking effort might not be perfect. You need to get the hang of rising and kneading if you want perfect, fluffy rolls. And you have to understand the chemistry behind each ingredient before you can start mixing and matching to create your own recipes. I'll walk you through making a fluffy, white bread from scratch so you'll understand the basics. 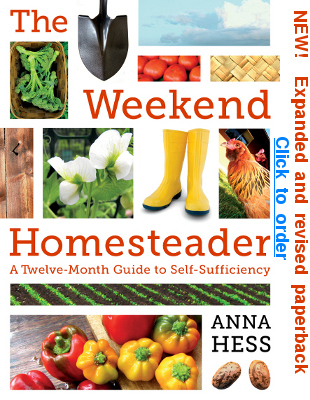 I usually skip the next step --- proofing --- but I do recommend you try it once just to understand the yeast organism. Heat your water to "baby bottle temperature" (just warm enough so that it feels neither hot nor cold when you put a drop on the inside of your wrist), then mix in the sugar and yeast. Wander away for about ten minutes, then see whether your yeast has woken up and created a foamy mass on top of the water. 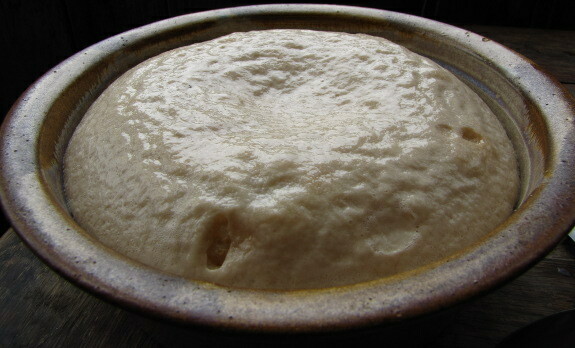 Yeast is a fungus with one job --- making your bread rise. When fed sugar and flour, the yeast excretes ethanol and carbon dioxide. The ethanol gives a yeasty flavor to the bread while the carbon dioxide puffs the bread up. Proofing yeast shows whether your yeast is young enough to do its job. If your water doesn't turn foamy in ten or fifteen minutes, you've either started with too hot or cold water or your yeast is too old to work. Whether you give your yeast time to proof or not, the next step is to make your dough. To the warm water, yeast, and sugar, add the rest of your ingredients, which in the case of this recipe are oil, salt, and bread flour. You'll want to mix all of the ingredients other than the flour first because the last cup of flour is going to take some heavy stirring to incorporate it into the dough. Odd, I use two cups of water for a tsp of yeast and add enough flour to get the right dryness--which amount will vary depending on flour moisture. (The right dryness is when the dough doesn't stick to your fingers when kneading.) Of course honey or molasses can be substituted for the sugar. Mark likes his bread very fluffy, and this recipe definitely does the trick. Less yeast = less fluff. I prefer to measure flour too, for the same fluffiness reason. If you add flour until it doesn't stick to your fingers, it's a bit too dry for optimal rising. I find it odd that you don't proof very often. I buy yeast by the pound, so I'm always in the middle of a pound of yeast. I keep it in the fridge in an airtight crock. This makes it last a long time. But every couple of months, I do the proof test to ensure that I'm still working with viable yeast. I also still find it very cool when that little bit of yeast makes all those bubbles. Cameron --- It does take some practice to make a bread you like. Hopefully reading the science behind each step this week will make it seem a bit less daunting. Fritz --- I don't think I've ever had trouble with yeast getting too old. I think that modern yeasts are a lot more resilient.... But, then, I don't have a source for whole pounds of yeast --- the best I can do is those little jars in the grocery store.